Loring peaches and golden honeydew melon made an excellent breakfast this morning. I covered the annual Stratford Peach Festival for my newspaper, The Ada News, Saturday. It’s a great event and fun to cover. 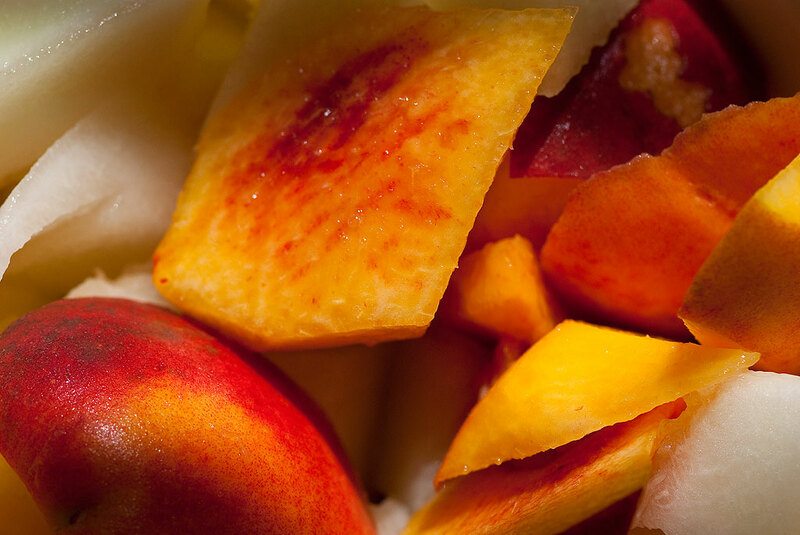 People come from all over to buy peaches, eat peach ice cream, and get out in the summer sunshine. On the drive over to Stratford, just 18 miles west of Ada, I talked on the phone with my long-time friend Scott Andersen, who remembered Stratford peaches I brought him many years ago, a white-flesh variety with a very smooth, sweet flavor. Nature, though, is fickle at best, particularly when it comes to non-commercialized produce like Straford peaches, as well as the peaches, plums and cherries I grow in my own orchard. One result of this is a very inconsistent harvest for the peach farms in the Stratford Area; this year there were no white-flesh peaches. I did get a big sack of “number two” (the not-great-looking ones) Loring peaches, which have a great color and a bold, slightly sour flavor, which I cut into chunks and combined with a nice golden honeydew melon to make a nice fruit salad to go with my last two meals. Another amazing feat of nature occurred in our front yard over the past three years. Four years ago Abby and I planted three crepe myrtle trees. One of them then died in the heat and drought at that time, and was effectively gone such that I mowed over it for the rest of that summer. 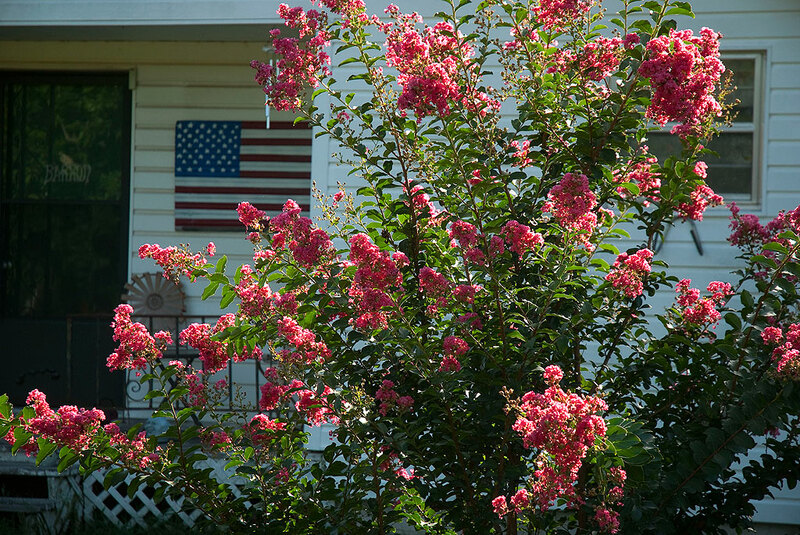 The past two years, though, the crepe myrtle we left for dead is now taller than I am, and was first to blossom this summer.